Touring any school is beneficial to making an informed choice for your child’s education. A Montessori school is very different than a traditional setting, so seeing children working in a Montessori environment is especially important. Tours begin each year the first week of October. All tours will begin at 9:30. Prospective families should call our office at 301-663-7970 to schedule a tour at your convenience. Active involvement of parents is at the heart of the CCMPCS program. We ask parents to volunteer 30 hours a year (10 hours for single-parent families). 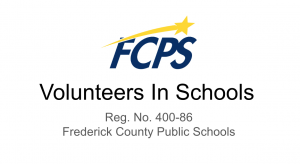 Please click here to read FCPS Regulation 400-86, Volunteers in Schools. This slideshow provides additional information for those interested in volunteering in FCPS schools.